In Januaury of 1989 Duo Mouvance performed at the Cirque de Demain festival in Paris and received a gold medal for their groundbreaking doubles trapeze act ‘Tango Trapeze’. Always nice to know your history! Thanks to Jon Udry for pointing this one out to me. Anyone fancy doing a translation? Juggling starts at 16:38. Enjoy! What Sideshow Is Not . . .
3. A Party Trick. It is a “Stunt;” because of the fact that Sideshow is real it takes a lot of training and discipline combined with proper technique and skill level to not get hurt. Half of what we do during any given performance can quite possibly kill us several different ways if we do not perform the stunt properly. 4. For Children. Due to the fact that Circus Sideshow is real, dangerous and life-threatening, it may not be the kind of entertainment you would want to bring your child to. Though that being said we have performed to the delight and extreme delicious horror for older children in the past. Some kids are just built for it I guess and we will probably be seeing them on stage in the future – who knows? Given the backgrounds of most of us Circus Geeks – at least the more prolific of us writers – I sometimes feel we overlook some of the other circus skills that are out there. Today’s lesser talked about circus skill: Corde Lisse. This is Allie Cooper. She’s a rope artist based in California whom I met at a circus party some time last year. She’s very lovely and put together one of the most enjoyable promo videos for her rope act that I’ve seen. In some ways it reminds me of Danny MacAskill’s Way Back Home. You can also follow Allie on twitter. Have you seen other promo videos that are striking, unique or different? Let us know in the comments below. I am amazed, in awe, truly dumbfounded that anything we do could possibly become old hat; but sometimes to us it does. I have to wonder if my fellow acrobats go through this as well? Let me explain. 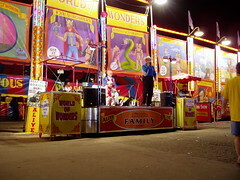 Sideshow by definition is based on the different, the oogie, and the thing that gets a visceral reaction out of people. A common pitfall in performing these stunts is that we become used to doing them, compare it to a long run of a theatre production if you like but on a longer scale. We get so used to the stunt we start to become numb to that which makes it special. What may be even tinged with a little sadness is we forget what it was like the first time we did the stunt, all those emotions rolled up into a tight little ball inside us. I dare say we may even become just a tiny bit jaded in this amnesia. I recently had the luxury of watching my troupe’s latest round of trainees, whome I’ve termed our ‘Debutants’, train in fire eating – my specialty. Now I would hope I have not become jaded in the least with my love, but you never know. I just so happened to catch them on the night, after all the nights of lecturing and safety rules and prep, that they were going to put fire to torch and do their first eat. I was giddy. I was amazed and in awe. I couldn’t take my eyes of off them, it was rivetted. It was as if I was seeing fire eating again for the first time, so raw. They were fighting with themselves. Well, actually to be more precise they were fighting with the human ingrained fear of fire hard-wired into the amegdala – it resides at the center of the brain and is the oldest and one of the first parts of our brains to evolve. It’s like stepping in the ring with Ali him-own-self. Believe me the first time you eat fire that torch looks for all the world like a flaming meteor coming towards your face. Every fiber in your being is screaming at you, “DO NOT DO THIS.” But we have a great coach, our Yoda, and we trust him enough to think for us in this moment – if need be – as our own thinking might be overwrought by the all too human fear of fire. These Debutants fought with themselves, which is a unique sight to see. A one-handed fight, torch in hand the other hand on hip; bicep, trice and carpi all in dynamic tension not knowing if it’s coming or going. She is trying to lower the flaming torch into her mouth and her amegdala is trying to save her from herself. Some balk and don’t finish the eat without shame. It is a difficult struggle undoing milliniai of genetic programming; but those who do succeed are forever changed. Those who conquer their ingrained fear of fire and finish an eat, even if they never eat another torch in their life, come away from the experience a different person. For at the very least, whether they know it or not, if they can do that they can do anything. My eyes are wide, and my jaw is dropped, there’s a chance I might be drooling I’ve been frozen in this position for so long. But that is how drawn in I am by what my girls are going through. Their experience is captivating, so literal. I remember my first eat, the nervousness, the sweat, my flinch, the elation after the eat. I was Wonder Woman and I felt so free. 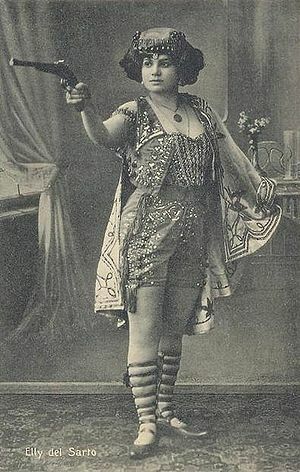 I was well over two years into sideshow before it even occurred to me that a woman performing circus sideshow stunts might be viewed as “grotesque.” I don’t think of these things, the weird, the freaky, the odd. I see something I’d like to do and I do it. Not until much later does it enter my mind that any of it might veer a little to the left of the norm. But then I guess that’s what sideshow specifically chooses for, doesn’t it? My troupe is made up of a lot of very beautiful women, most of whom you would never think did this sort of thing, the oddity, the absurd. We even have one Lady who would pass for a Disney princess. Really, I swear! And we all have had this talk a bunch of times that we’ve never felt quite a part of normal society. Oh sure, we can pass with the best of them; Beverly Hill events, high intellect societies, professional businesses and the like, the whole kit and kaboodal. But none of us ever really felt like we fit — I’d like to think of it as a really long run of junior high. And then the clouds parted and the universe gave us SIDESHOW! and we found a home and a family with each other. Strange, no? In reality not so much. In truth, I would think this story is much more familiar to everyone than we all would think. It’s just that in those who are a little “left of center” it is more apparent. If we listen to each other we begin to understand that not only did we probably have that outside time when we were younger, but we still have something now that may make us feel like we are not a part of the collective. Sometimes it can be so much so that we might very well feel like we have a glowing incandescent sign with a big red arrow pointing at us screaming “one of these things is not like the others, one of these things is just not the same!” Or is it just me? A third gernaration circus artists and legendary juggler, highly respected all over the world by audiences, agents and jugglers. 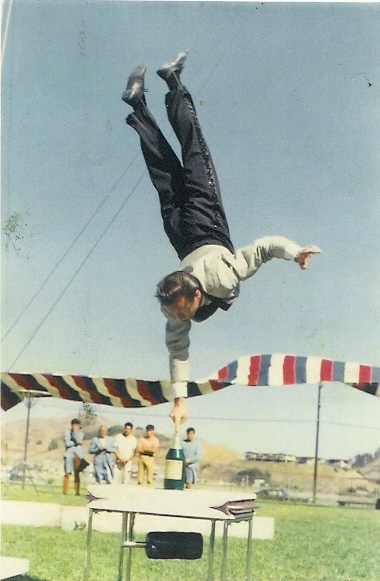 Bramson’s act is a classic, full of charm and packed with signature tricks and touches that made him successful on stage for over half a century. If you’ve had the misfotune to never have come across his work before read this and this. I started this blog with the aim to engage with circus performers, to share experiences and thoughts with others. So when heard Bob Bramson’s memoirs were coming I knew it would be a must read for me. When my signed copy of ‘An Artists’s Luggage and Other Baggage | A Memory Kaleidoscope’ came through the letter box it was with more than a little excitement that I began to read. The book is easy to consume, written in both German and English (Circus Geeks own Luke Wilson did the translation) and broken down into short paragraphs and chapters that flow nicely from one to the next. In the middle of the hardback are some historical photos and circus posters featuring Bramson and his family. There are many anecdotes and incedents that standout; black market dealings, facing down tigers, running into the queen and techniques to quieten a crying baby. Bramson lived through the second world war and under Stasi enforcement, he took his art to new levels and had a varied and exciting career working with some of the biggest stars in the best venues – it makes a great read. I’d recommend this book to anyone but particularly to any current or aspiring performing artists. And of course it’s a must read for anyone interested in circus. From midgets, wolfboys and human pin-cushions to Siamese twins, snake charmers and sword swallowers, the circus sideshow isn’t often seen alongside the main attraction any more.